Our selection of artificial rose petals are second to none when it comes to high quality and affordability. An essential decoration for wedding parties and romantic occasions, silk rose petals can be used in a variety of ways. Soft and delicate, flower petals are commonly used by the flower girl to leave a pretty trail for the bride or groom as they walk down the aisle. Wedding guests also use rose petal confetti to shower the newly married couple with as they take their first steps as partners for life together. 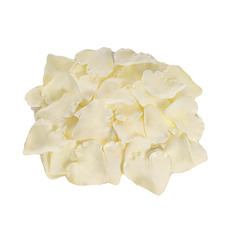 In addition to these wedding rituals, artificial rose petals also make beautiful wedding decor. 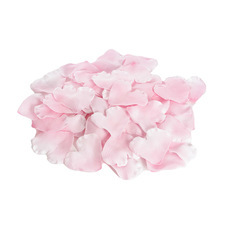 Rose petal table scatters are a lovely addition to any wedding reception, and can also be used in water filled glass vases and bowls to create charming table centerpieces. Planning a big surprise or grand gesture for Valentine’s Day? A trail of rose petals leading to the big surprise is a romantic and charming way to excite your partner! If you’re feeling extra romantic, add in some candles or LED lights to illuminate the path. Is this the year that you propose to your partner? 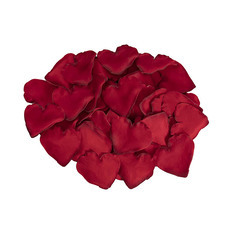 Rose petals are the perfect way to make that proposal extra special for your future partner in life. Don’t just stop there though! Add in some red rose bouquets and music and truly make it a moment to remember forever. See the Koch Blog for more creative ideas using silk rose petal scatters. If you’re creating a gift set for your bridesmaids, silk rose petals are the perfect finishing touch! Scatter them over the gifts, which could include wine, candles, day spa essentials and more, and bring a smile to your very best friends. Choose from a rainbow of colours such as red, white, pink, purple and more. 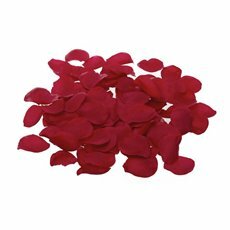 You will have a ball creating beautiful decorative displays and cherished memories using artificial rose petals. Plus with wholesale flower petals at such affordable and great prices, what’s not to love? Shop our full collection of artificial flower bouquets or fresh roses for more blooms to make your special day extra special.